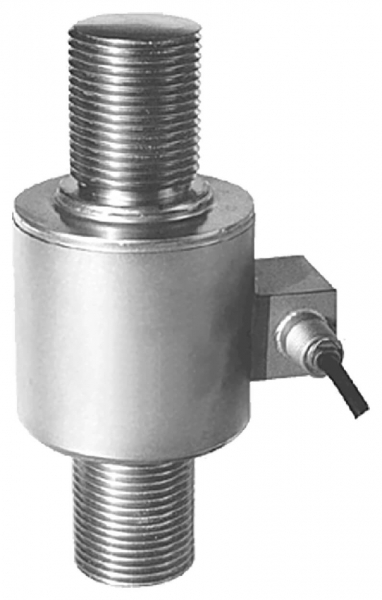 Product information "Tension and Compression load cell C50N"
The compact tension and compression load cell C50N was designed specifically for the measurement of static and dynamic tensile and compressive loads. The load cell is thus a basis for many force sensing systems. The central thread in the upper and lower part of the load cell ensures optimum transmission of force into tension or compression direction. For tensile shackles, bolts, swivel hook eye bolts, etc. can be used. For pressure load, there are fittings with base plates. The load cells are manufactured from high quality stainless steel and also provide in long-term use in harsh industrial environments accurate and reproducible results. The load cell is laser welded and meets the requirements of protection class IP66. For the measurement of forces these load cells are also very often calibrated in the physical unit Newton and used as a force transducer. Hopper scales, silo scales, crane scales, monitoring joining forces, tension measurement. The load cell should be installed in the way that the force is axially and centrally introduced into the transducer. 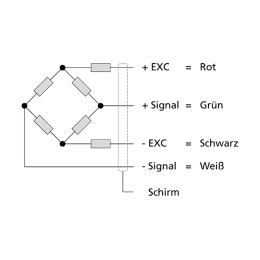 Force shunts, side forces and torques can cause measurement errors, and should be eliminated by installation aids, such as knuckle eyes. Related links to "Tension and Compression load cell C50N"
Our comment on "Tension and Compression load cell C50N"